How to Handle Bullies, Teasers and Other Meanies- Author Kate Cohen-Posey M.S. 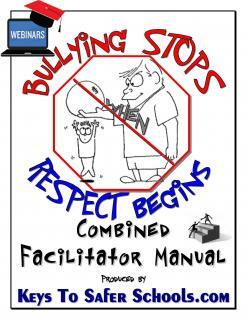 LMHC LMF states - How to Handle Bullies, Teasers and Other Meanies. This book was born out of the peer taunting I suffered as a child. When I accidentally discovered how to "bully bust" in the 11th grade, what had been a source of pain became a vehicle of empowerment. Assertive comments like, "I don't like what you're saying," or "I want you to stop talking to me like that" can sometimes encourage bullies. But, telling people who have just called you 'a fat tub of lard' that you're glad there are plenty of "weight watchers" in your school uses the power of confusion to leave name-callers without a move to make. How to Handle Bullies, Teasers and Other Meanies teaches the nuts and bolts of HOW to neutralize negativity. I welcome any and all who want to join me in my mission of bringing kindness into the very cradle of cruelty.